Have you been served a subpoena or contacted by authorities as part of an investigation into your business or financial activities? Do you foresee any possibility that you could be implicated or charged with a “white collar” crime such as forgery, fraud or embezzlement? The time to get skilled counsel and representation is right now. We can help at any stage — including after your arrest — but you will certainly want an experienced white collar crime lawyer on your side, to protect your rights and future, as early in this process as possible. 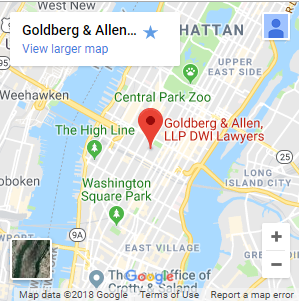 Both attorneys at our respected New York City firm, Jay K. Goldberg and Gerald Allen, have extensive experience dealing with grand jury proceedings, complex investigations, and trials and appeals in federal court. 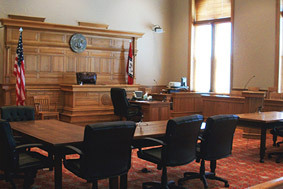 We have worked on these cases from both the prosecution and defense perspective. Arrested or Under Investigation? Get Help Making Pivotal Decisions. Depending on your exact circumstances and what we can learn through rigorous investigation, we may see an opportunity to help you avoid criminal prosecution altogether. If your exposure is clear and evidence against you is strong, we are proven negotiators who will work hard to minimize charges and consequences. Whatever your position and status — executive or secretary, contractor or government employee — we will take a discreet, active and determined approach to your defense. For the high-end legal guidance and representation you need to protect your future, please contact our New York City fraud and embezzlement defense lawyers for a free initial consultation. Call 212-766-3366.